In advancing years, many people feel the need to pre-arrange the detail of their funeral proceedings. We completely understand this and as Funeral Directors will be pleased to discuss all aspects of such arrangements with you. This will not place you under any obligation to use our services at the time of need, nor will there be any charge for our advice. It is not our practice to “sign people up” to pre-determined payment plans. 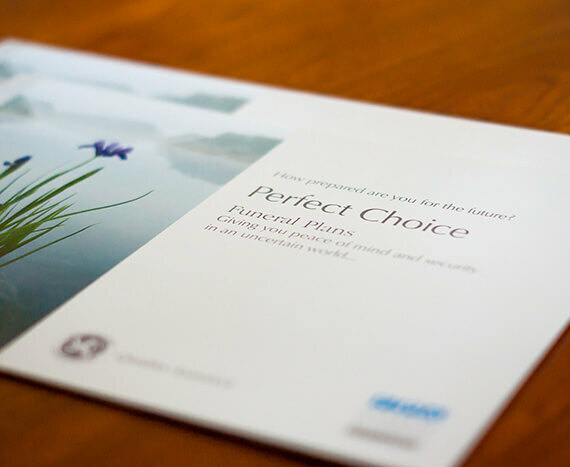 However, for those people who wish to pre-pay after discussing bespoke funeral arrangements, we can offer facilities via Perfect Choice, a pre-payment option operated by the National Association of Funeral Directors. Pre-arrangement can ease your mind about how things will be done at the time of death and also help us to better help your relatives if we have much of the detail in place beforehand. Please don’t hesitate to talk to us if you feel this process may be helpful to you.